Mati Greenspan, a senior analyst at eToro, thinks that Bitcoin seems to be on the cusp of a massive price rally. The top-ranked cryptocurrency has begun the week strongly despite a three percent decline over the weekend. Today (July 23, 2018) Bitcoin has moved up by $300, eroding the three percent loss suffered over the weekend. 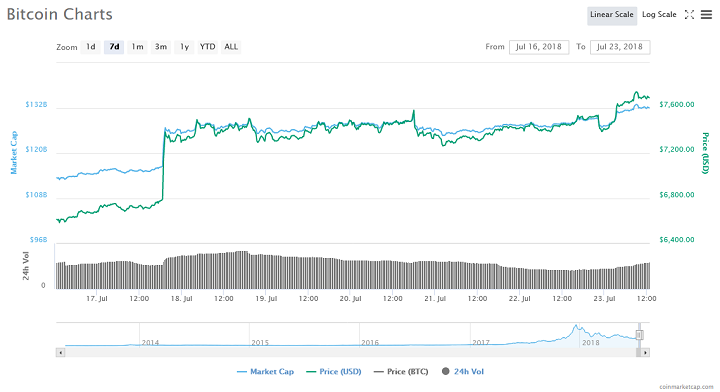 Trading volumes during the weekend period are notoriously low, so it was no surprise seeing the top-ranked coin slipping to $7,399 on Sunday. 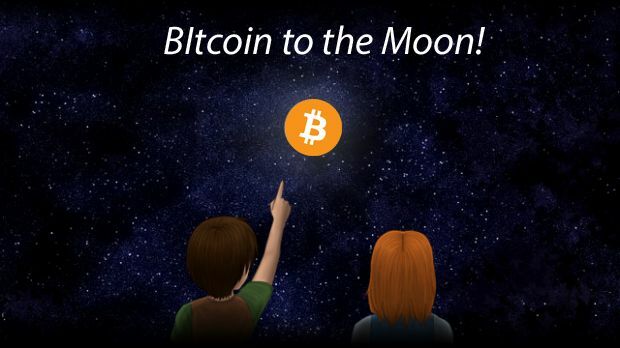 At present, BTC is back above $7,600, and bulls are hopeful of an $8,000 push today as the market progresses. The price jumped experienced today comes hard on the heels on positive news from the G20 as well as clear signals from BlackRock. The G20 yesterday gave cryptos the greenlight only calling for careful observation against fears of its use in illegal financial activities. This positive news seems to have put a stop to the sharp selling seen on the market especially on Sunday (July 22, 2018). Despite the surge, the asset doesn’t seem to have gone overboard which is a sign that the rally might be sustainable over a significant period. Based on these positive signals, Mati Greenspan, a senior analyst at eToro thinks that the good times are here again for Bitcoin. In a tweet posted today, Mati said that the BTC might be on the cusp of its largest bull run in history. If this happens to be the case, then the top-ranked cryptocurrency might set another all-time high (ATH). The previous BTC ATH of $19,500 was achieved in mid-December 2017. Since the start of 2018, the BTC price has tumbled by more than 60 percent. During that bear run, Bitcoin has thrice slipped below $6,000, and the top-ranked crypto has endured a barren 2018. One of the highlights of many a discussion in the crypto space has revolved around the entry of big money players into the sector. Many analysts believe that the entry of institutional investors will likely cause a spark in the market resulting in a sustained bull run. Any signs of the big players entering the market will cause huge waves. Though my personal belief is that we are still a few years away from reaching this tipping point, we are in what I would refer to as an exploratory phase when it comes to institutions and crypto. Almazo also said that the lack of regulatory clarity and the absence of custodial tools are part of the reasons why big-money players still shy away from the market. Do you agree with Mati Greenspan that BTC is on the cusp of a bull run? What is your end of July price prediction for the top-ranked cryptocurrency? Keep the conversation going in the comment section below. Image courtesy of Coinmarketcap and Twitter (@MatiGreenspan).